Taller people will totally get this – showering in a bath with a shower arm that’s too low can be extremely annoying. The fact that you will need to basically kneel so you can wash your head on a regular basis is a drag, but luckily, now you have the chance to change that. The sanitary industry has come a long way and these days we can choose to replace whatever we like. Instead of torturing yourself with a short and low placed shower arm, you can install an adjustable shower arm. The beauty of installing an adjustable shower arm or also known as shower extension is that you can raise or lower it at the needed level. Simply put, a shower arm like that can be adjusted to meet the height and ability level of each and every person, providing you with a pleasant and carefree shower experience. 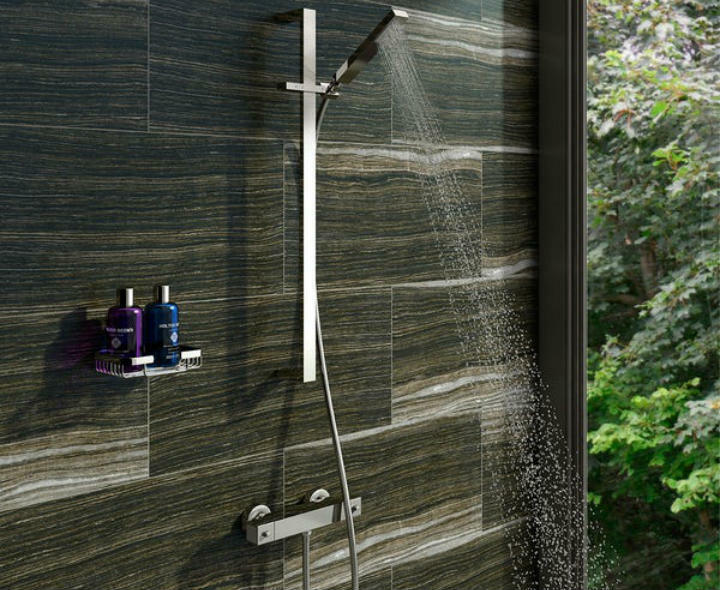 Except for the reason concerning height, sometimes a shower arm replacement is required if the arm becomes corroded or if it starts to leak. The good news is that they can be replaced without any difficulty, meaning that you can have your own DIY handyman experience. The best part is that these adjustable shower arms are available in a range of styles, sizes, shapes and even colours, which can totally ease your decision-making process. For example, you can choose between an “S” configuration shower arm or a multi-arm that can allow you to raise your shower head on a higher level. The shower arm finish is also an important aspect as it needs to match the rest of the bathroom fittings, but mainly the shower head. You can choose one with a matte or shiny finish depending on the rest of the fittings. For example, brass should be paired with brass, chrome goes with chrome, etc., because after all, your bathroom should look neat and stylish just like the rest of the home. Last but not least, let’s not forget about the shower arm’s quality, otherwise, you are risking dealing with lots of problems, like leakage, corrosion, chiping, etc. A rule to remember is to always stick to reputable brands and reliable sellers as this is the only way to get the best product for your money, and one that can improve your showering experience.